Who knew this needed cleaning! Before you get started with your weekend cleaning checklist, make sure these eight household cleaners are actually clean themselves. What am I talking about? 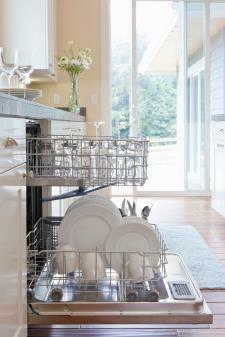 Your dishwasher, washing machine, and vacuum cleaner to name a few. According to Andrea Cheng of Good Housekeeping, without a proper monthly cleanse, your “self-cleaning” dishwasher can become a cesspool of bacteria, fungi, black yeast, and even mold. Not to mention it can also emit a foul odor, thanks to leftover food particles. 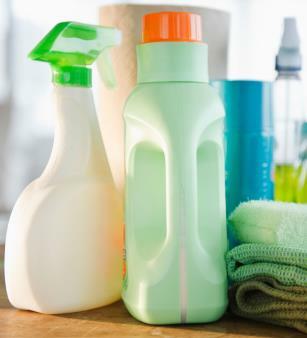 Did you know that your liquid cleaners actually have a shelf life? They won’t “go bad” as food will after an expiration date, but their antibacterial properties won’t be as effective. Who knew? Here’s how to ensure your cleaning tools and appliances are free of dirt, grime, odor, and gunk so you can have the cleanest spring yet. Have you checked out our Facebook Page? Jump on over right now and join in on the fun!